A boiler stove can be used to supplement your existing heating system and be installed as part of an integrated system, or alternatively larger boiler stoves can be used to power an entire central heating system on their own, providing heat for domestic hot water and radiators too. When it comes to a boiler stove purchase we would always suggesting consulting a heating engineer prior to purchase. Boiler stoves are designed to power central heating systems, provide domestic hot water as well as heating the room in which their situated. 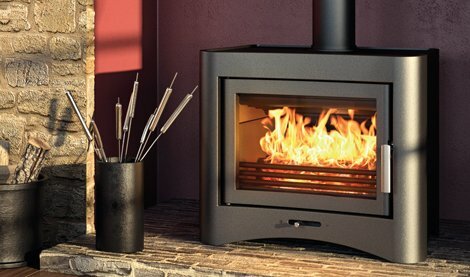 Depending on the output, these stoves can either supplement your central heating system or power it entirely, making this a versatile group indeed. Generally speaking domestic hot water requires at least 2-3kW and an average radiator requires around 1.5kW, although we recommend making contact with a qualified heating engineer to discuss your central heating needs before purchasing a boiler stove. Some boiler stoves are capable of powering 19 radiators, and others only a few, that is to say there will certainly be a boiler stove with exactly the right output for you and your interior space. Keep an eye out for DEFRA approval when browsing the catalogue of boiler stoves, this means that a stove is permitted to burn wood inside smoke control zones owing to its low emission profile, if you live in a smoke control zone then this is essential. There is more than one type of boiler stove. Integral back boilers are factory fitted and have a high heat output, generally a stove with an integral back boiler will have a fairly low (1-5kW) output to the room and a high output to the boiler whereas clip-in back boilers can be added to the stove at a later date and so are available separately, but have a lower heat output than integral, factory fitted stove back boilers. 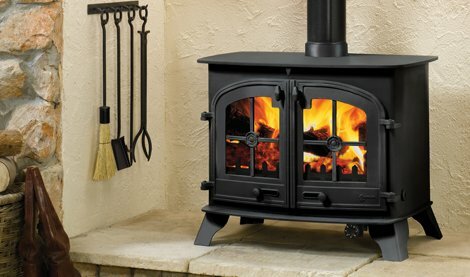 At Fireplace Products we have the best range of stoves in the UK. Find your perfect stove with our comprehensive Stove Finder search tool.